It’s Friday once again, and we’re back with another MASSIVE Record of the Week blog!! Kicking things off this week is the sophomore LP from the Bay Area’s very own black metal masters in DEAFHEAVEN! 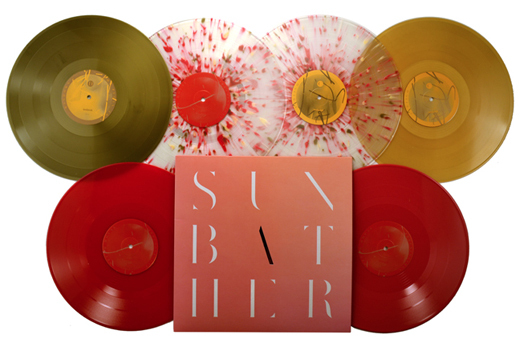 It seems that “Sunbather” has been receiving rave reviews across the board, and the visual elements of this double LP release are definitely worthy of equal praise. This beautiful custom die-cut reverse-board 350gsm jacket includes printing on the inside sleeves with a Gloss UV varnish finish! As if that wasn’t enough, the package also includes gatefold insert, pantone printed center labels, and 4 different configurations of colored vinyl! It may be too early to tell, but I think this one will definitely be a contender for the “Record of the Year'” title… Kudos to Deathwish and Deafheaven for an incredibly impressive and stunning release! 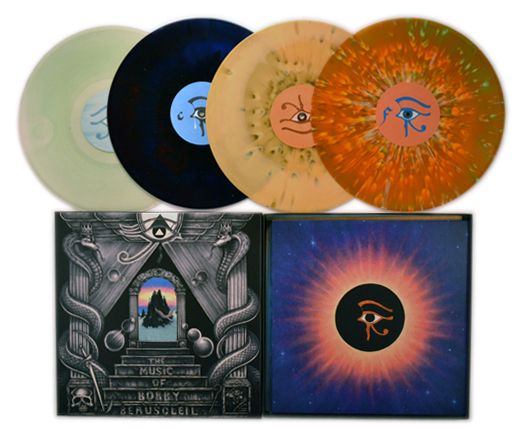 The first honorable mention this time around is a 3rd edition of the monstrous LUCIFER RISING 4LP Boxset, courtesy of The Ajna Offensive! If you’ve never seen this package before, it includes all four of the band’s LPs, unique printed inner sleeves for each one, gorgeous colored vinyl choices that coordinate with each LP’s innersleeve, a 4 Page Booklet, and 2 Foldout Posters! 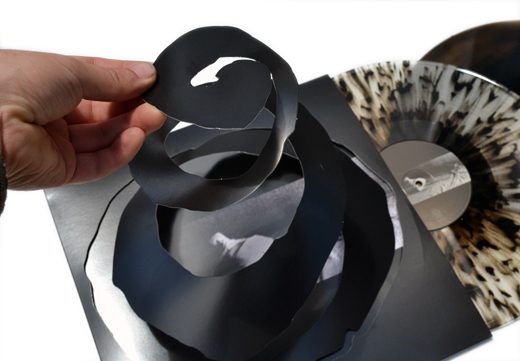 I think the best part may just be that AsideBside vinyl w/ Black Splatter though…Just take a look at that thing!! From JOYFUL NOISE comes an awesome new triple-7″ compilation! The release is titled “Cause & Effect”, and it features three separate split 7″ records, which each adhere to an overarching theme: an infuential, historically-significant solo musician on Side A, and the modern result of that musical influence on Side B. What a rad idea! Those half-n-half colored vinyl choices aren’t too shabby either…. Definitely a unique project which was executed perfectly! PANIC STATE Records knocked it out of the park with this new split 7″ between THE FLATLINERS and ASTPAI, and just in time for their upcoming US tour together in August! With each band covering one of the other band’s songs, this is definitely a must-have for fans of these bands! 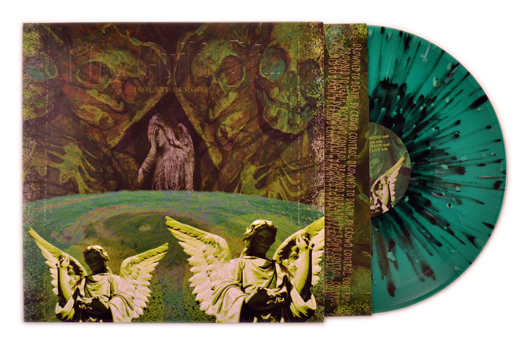 That color-in-color vinyl looks fantastic as well… Nice!! The metal vinyl continues! 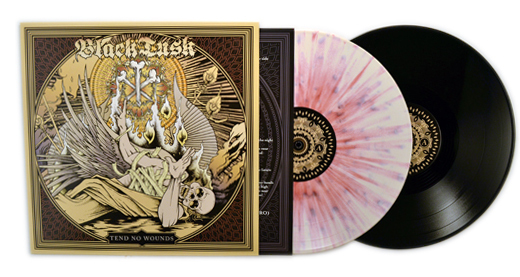 Check out the latest from BLACK TUSK, courtesy of Relapse Records. That ‘Bone’ vinyl with ‘Oxblood’ splatter is out of control! This is definitely something we’ve never seen before… Get a load of the custom spiral die-cut jacket included as part of the latest 12″ release from WHIRR! 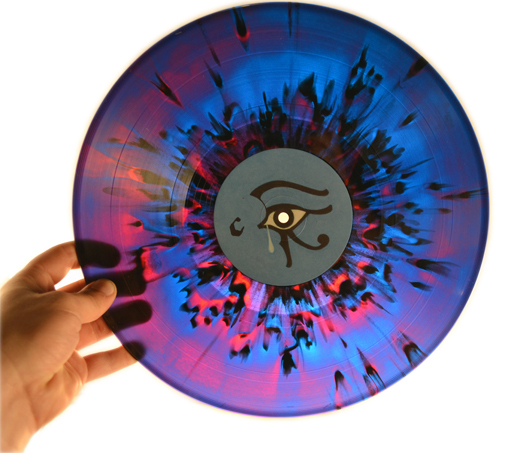 Graveface Records killed it with this one…what a cool idea! The “Milky Clear w/ Black Splatter” and “Milky Clear in-Black” Color-in-Color vinyl picks were spot-on as well, they both fit the package perfectly! If you’re an ISIS fan, you’ll be happy to know that Robotic Empire has re-released their amazing ‘Celestial’ double LP! Both the reverse-board gatefold jackets and printed innersleeves include flood black printing on the inside sleeves, which look incredible. While only the ‘Classic Black’ vinyl is pictured, Robotic Empire went all out with three other ‘Easter Yellow’ / ‘Ultra Clear’ colored vinyl configurations… Awesome! LAST HURRAH made some great choices with the latest LP from THE GUILT OF… Check out that Embossed 12″ Jacket, Printed Innersleeve, and ‘Kelly Green’ Vinyl with ‘Doublemint’ and ‘Black’ Splatter! 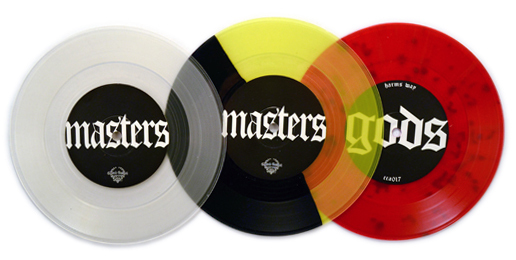 This repress of HARMS WAY’s “No Gods No Masters” 7″ is a total eye-catcher! When you can choose from ‘Milky Clear’, ‘Piss Yellow’ / Black Half-n-Half, and ‘Blood Red’ Vinyl with Black Splatter, how can you complain? Washington’s BLACK BEAST REVIVAL self-released their debut LP, and they did a great job! 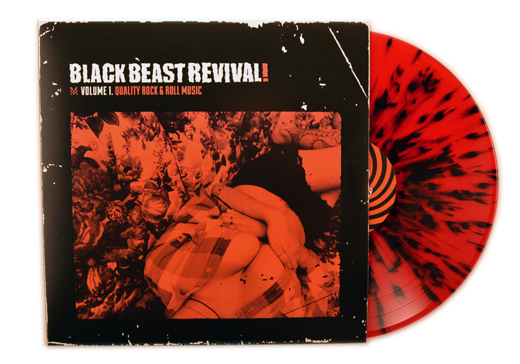 The ‘Blood Red’ Vinyl w/ Black Splatter was a fitting choice for this package… Nice job, dudes!! 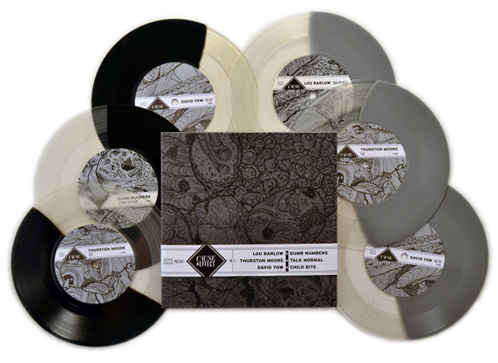 ANTITHETIC Records decided to release BLOTTED SCIENCE’s ‘The Animation of Entomology’ and ‘The Machinations of Dementia’ LPs on vinyl, and they went all out! If you ever wondered what ‘Coke Bottle Green’ and ‘Swamp Green’ AsideBside vinyl looked like, this is it! 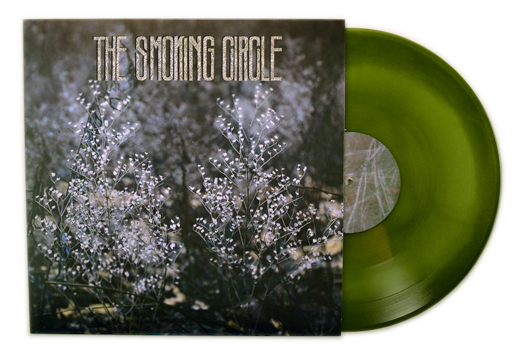 Big props to THE SMOKING CIRCLE for self-releasing their slick new 12″ LP! Last but not least is a huge new release from SPECTRALS and Slumberland Records! With ‘Aqua Blue’ / ‘Oxblood’ Half-n-Half colored vinyl and pantone printed center labels, innersleeves, and jackets, this is definitely one for the collection! Holy smokes! That was a TON of ridiculously sweet new vinyl. Thanks for checking out this week’s blog, and as always, make sure to check back next week for another round of your favorite new records! Until then…VINYL RULES ALL.